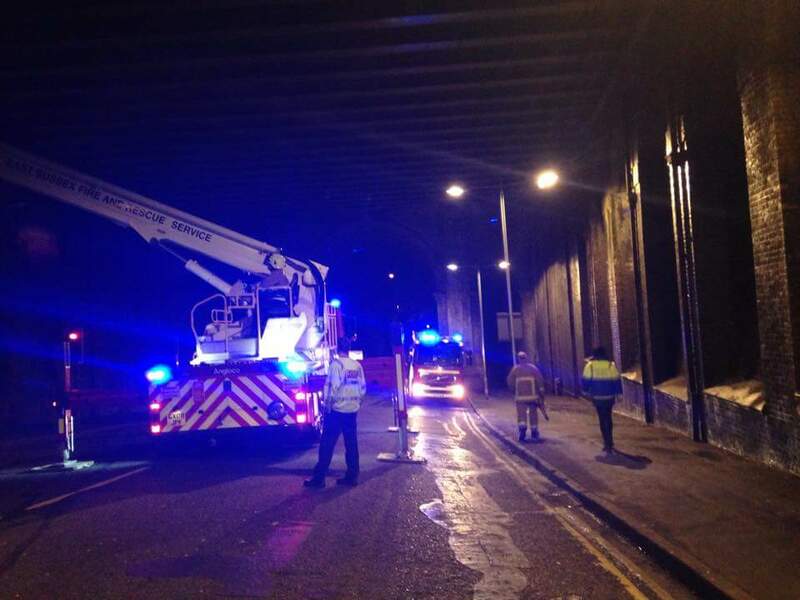 Last week saw rescuers working into the small hours with East Sussex Fire & Rescue Service after a number of birds became stuck behind and in netting on a railway bridge in Brighton. Waiting till a quiet time of the night when the Fire Service was free and traffic was light, the crews set about rescuing the birds. The fire service frequently uses these incidents as training exercises as they allow them to practice in locations which would not be possible otherwise, gaining valuable experience. Our thanks to them for all their help. I can’t believe after a years work my book is now available. The book was launched on Saturday at our Celebration Party at East Dean. Copies are now available to buy from our website or from Paws n Claws Pet Supplies Store in Olives Yard, High Street, Uckfield, TN22 1QP or from WRAS’s Casualty Care Centre, Unit 8 The Shaw Barn, Whitesmith, BN8 6JD. Or over the phone by calling 01825-873003. 100% of the profits go to East Sussex WRAS to help us save wildlife in need. The book is 240 pages long with 32 pages of colour photos too. The recommended retail price is £8.99. Thank you to Brighton Students’ Union for raising an amazing £651.73 and Waitrose Uckfield for raising £670 for WRAS. This is very much appreciated and much needed after a very busy summer. The weather last week although wet and windy was a welcome break as the casualty numbers reduce giving us a break to start some of those jobs which have been left waiting since the spring. All across the country small rescue set ups are closing down due to lack of funds. Getting too big too quickly is one of the biggest killers of new rescue set ups. Running a rescue organisation is so much more than going out catching casualties, there are the fuel costs, veterinary bills, medicine costs, caging, equipment, utilities (electric, water and waste), phone bills and animal food to name a few. Often not having time to fundraise. A common mistake is promoting themselves to be bigger than they are because they want to gain support. With such a high demand on rescue services many groups fold because they don’t know when to say “no” sadly often due to people who put unfair pressures on them calling them “uncaring” when they can’t attend. More rescue groups close at this time of year than any other due to stress and burnout. Just because a rescue hasn’t been able to attend please don’t slate them for not doing so but be considerate and support them so that next time you call they are there to help and not closed down. If they can’t help you it doesn’t mean they have not been helping many hundreds of other casualties. Please don’t unfairly judge them, but support them or there will be less help not more for our suffering wildlife which is already being killed in its millions because rescue groups across the country are too small to cope with the workload. Some of the calls we have dealt with this week have included a badger with both eyes ruptures and a territorial bite wound above his tail in Brighton which sadly didn’t survive; a gull with a slightly damaged wing rescued in Wilton Road, Bexhill; a gull outside Screwfix in Eastbourne; an injured gull in Pevensey Road and Gorringe Road Eastbourne. 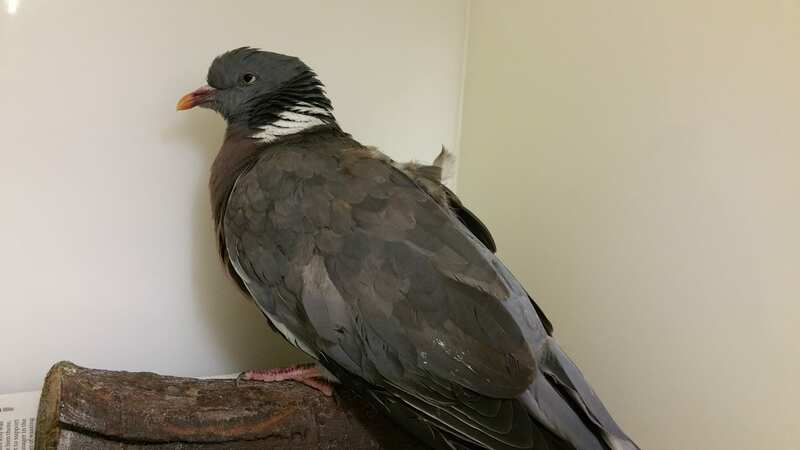 There has also been a baby pigeon in Etchingham Road, Eastbourne; am injured wood pigeon from Coxwell Close Seaford and one from Horsted Lane Isfield; a young pigeon which was being swung around by youths on Eastbourne Seafront. We have also had a very poorly starling from Boship Close, Eastbourne; a sparrow from Station Road Isfield and hedgehogs from Percival Road Eastbourne, Rattle Road Westham, Broyleside Ringmer, and Levett Way Polegate, to name a few! We’ve had to rush a swan up to the Swan Sanctuary at the weekend after it was handed in to the emergency vets at Bexhill. The vets didn’t know how to treat the swan so asked us to deal with it. 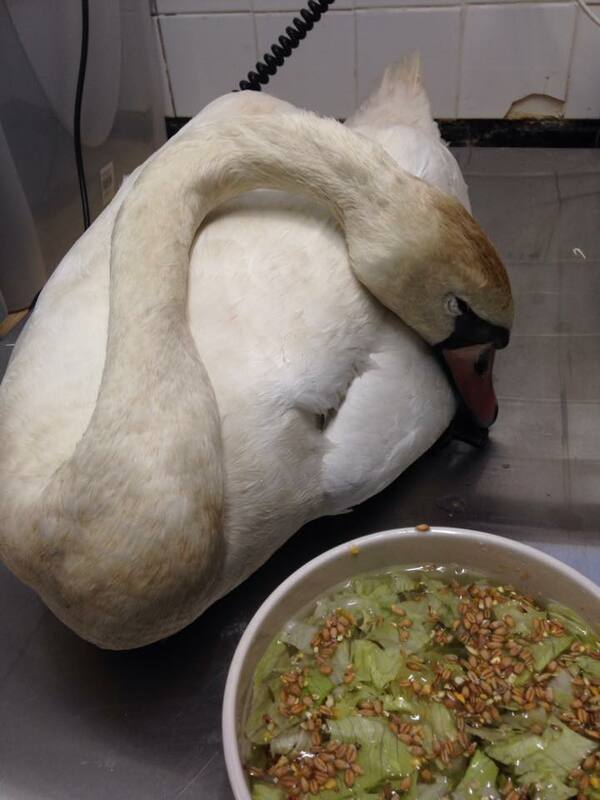 The poor creature was very underweight and lethargic, and the Swan Sanctuary very kindly offered to take it. Kathy and I had very poorly hedgehog in last Friday night from Newhaven. He was extremely cold and underweight, just skin and bone, had fly eggs laid on his body, legs and ears, as well as suspected mange. One of his rear legs were dislocated and popped into place on examination, and the foot on the same leg was fractured with the bone exposed. Sadly despite our best efforts, painstakingly removing all the eggs, warming him, giving him fluids and emergency medication, as well as oxygen he sadly slipped away. We try our best to stay detached but when you work so hard to save an animal’s life, it is always so upsetting when they pass away. He had obviously been in the wars in the past with broken spines on his head and back.